OWERRI—Imo State Government yesterday, summarily “suspended indefinitely”, 10 traditional rulers in the state. 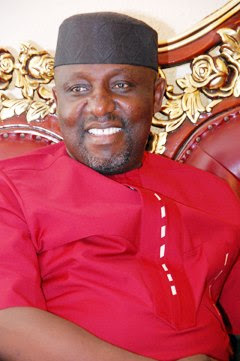 Gov Rochas Okorocha Government’s position was made public via a press statement endorsed by the Secretary to the Government of Imo State, Sir George Eche, and repeatedly aired on the channels of government owned electronic media oufit, Imo Broadcasting Corporation, IBC. According to the terse government statement, the monarchs were suspended for alleged disobedience, indiscipline and active participation in partisan politics. The affected royal fathers include Eze Ben Nwaneri of Owubinubi autonomous community, Ikeduru Local Government Area; Eze Clifford Amadi of Amawuihe Ubomiri autonomous community in Mbaitoli Local Government Area and Eze V. O. Ahamefule of Oboro Amurie autonomous community in Isu Local Government Area. Others are Eze A. E. A. Durueburuo of Okwudor autonomous community in Njaba Local Government Area; Eze Reginald Amadi of Obetiti Nguru community in Aboh Mbaise Local Government Area; Eze Akujuobi Osuagwu of Awaka community in Owerri North Local Government Area and Eze Fionna Iriele of Ogberuru autonomous community in Orlu Local Government Area. The rest are Eze D. O. Izim of Umunkwo community in Isiala Mbano Local Government Area; Eze Innocent Ikejiofor of Amandugba autonomous community in Isu Local Government Area and Eze Chinedu Osuebi of Azara Obiato in Mbaitoli Local Government Area. The statement then directed the Commissioner for Community Government Council and Traditional Institution to retrieve their certificates and staff of office immediately.